Despite a 5% drop in passenger car sales in January 2017, sales of many entry-luxury and small luxury sports sedans ticked up markedly last month. Year-over-year, the Audi A3 and Audi A4, BMW 2-Series, Infiniti Q60, Lexus CT and Lexus IS, and Mercedes-Benz’s B-Class, C-Class, and CLA-Class all improved. The Audi A4 added 377 sales to Audi’s ledger, nearly tripling its January 2016 volume to 570 units in January 2017, good enough for the A4 to be Canada’s second-best-selling luxury car last month. 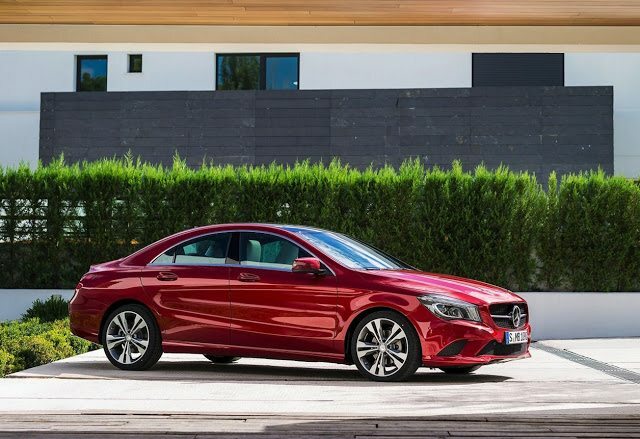 With an 81% improvement to 472 sales, the Mercedes-Benz CLA-Class jumped into third spot overall among luxury cars, 13 sales ahead of the declining BMW 3-Series. And the leader of the pack, Mercedes-Benz’s C-Class, was up 69% to 664 units. January marked the C-Class’s ninth consecutive month of year-over-year improvement. You can click any model name in the tables below to find historical monthly and yearly Canadian auto sales data. You can also select a make and model at GCBC’s Sales Stats page. These tables are now sortable, so you can rank luxury cars any which way you like. Mobile users can now thumb across the tables for full-width access. Suggestions on how GCBC should break down segments can be passed on through the Contact page. GCBC isn’t here to break down segments, an impossible task for any group, but to display sales data for the sake of comparison. The more ways sales data can be displayed, the better. This explains why you’ll see the XC70 listed with luxury SUVs and the Acura ILX with mainstream cars… because readers have wanted it both ways. You can always find the sales results for EVERY vehicle and form your own competitive sets by using the All Vehicle Rankings posts. ^ Mercedes-Benz’s Canadian sales figures combine the E-Class with the CLS-Class. Audi Canada’s A4 sales figures include sales of the Allroad. 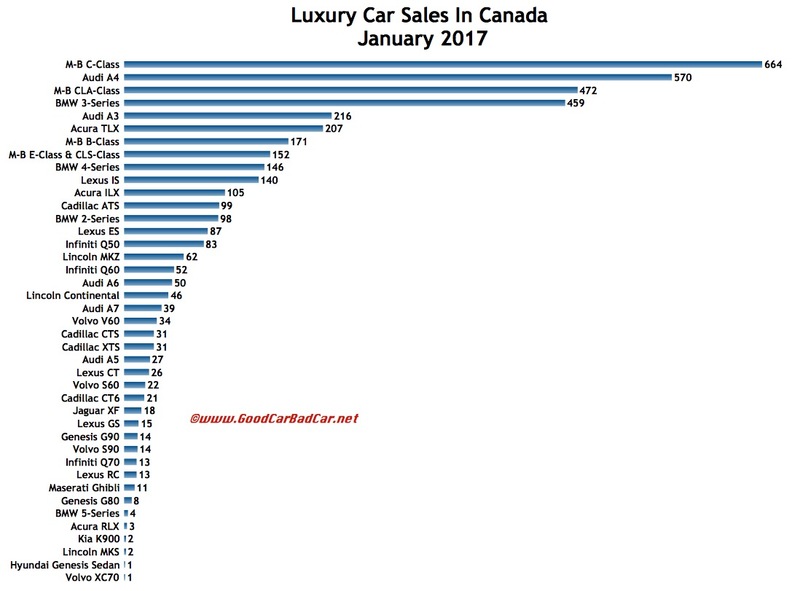 ‡ The XTS, CT6, K900, and Continental aren’t listed here because they’re not massive – they are – but because their price points position them much more closely to, for example, the Mercedes-Benz E-Class than the S-Class. Genesis sales figures here do not include sales of the Genesis Coupe (as Hyundai’s U.S. Genesis sales figures do), making the comparison with premium brand vehicles much more valid.